We have just received the exciting news that our innovative “Crow’s Nest” project in Marylebone has been shortlisted for two awards at the prestigious Architects’ Journal (AJ) Retrofit 2016 Awards, among UK architecture’s most prized accolades. After reaching the 2015 final with another experimental project, we are thrilled that this time The Crow’s Nest at Molyneux Street has two chances of success, having been shortlisted in both the House and the Listed Buildings categories. 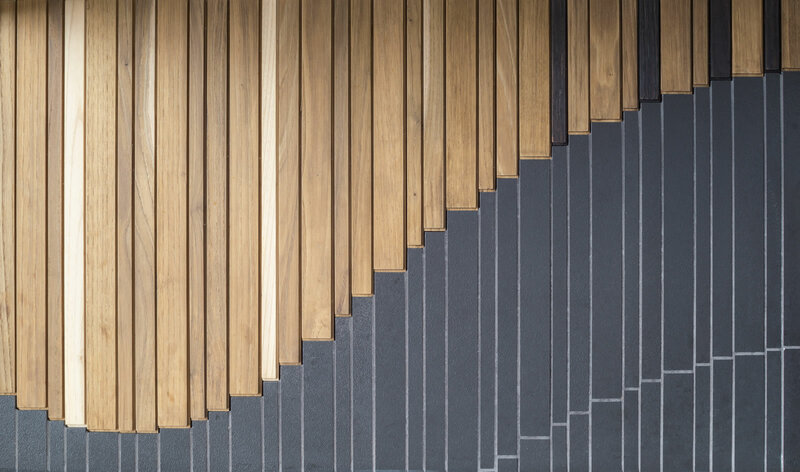 This was a sublime project to work on, and again represents the intensely creative and imaginative approach of Patrick Lewis Architects. 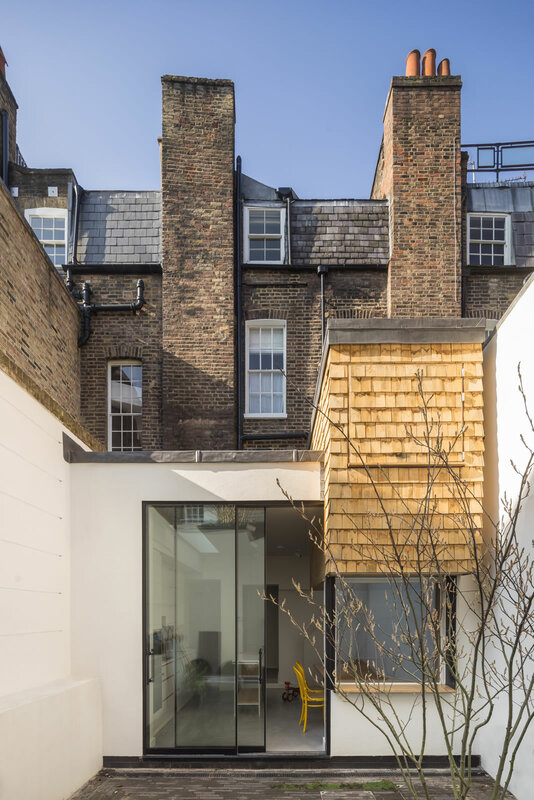 As well as refurbishing the Grade II Listed home in the City of Westminster, we added an extension that was inspired by the story of Admiral Lord Molyneux, after whom the street is named. We discovered that he invented the rotating mast. This was the genesis of one of the most exciting components of the extension: a crow’s nest suspended in the new kitchen, forming an interior treehouse reached by a secret staircase. 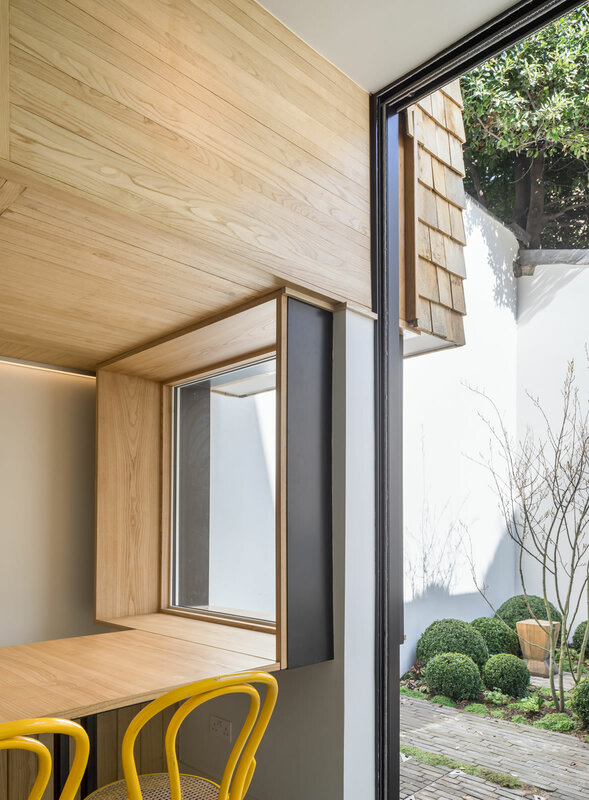 The crow’s nest fits on top of an inverted bay window that inside becomes part of the dining table and outside serves as a place to sit and enjoy the garden. Sweet chestnut is an ancient material used by the Romans but rarely seen in construction today. We chose it based on its qualities of durability, beauty and the way it ages over time. 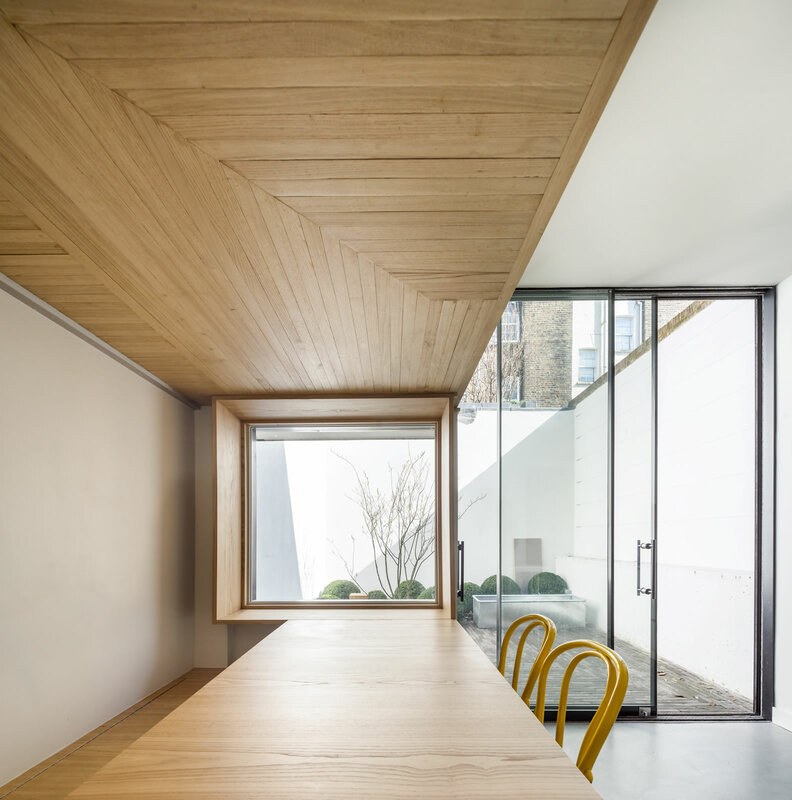 In the extension at Molyneux Street we experimented in using chestnut in as many different ways as possible. 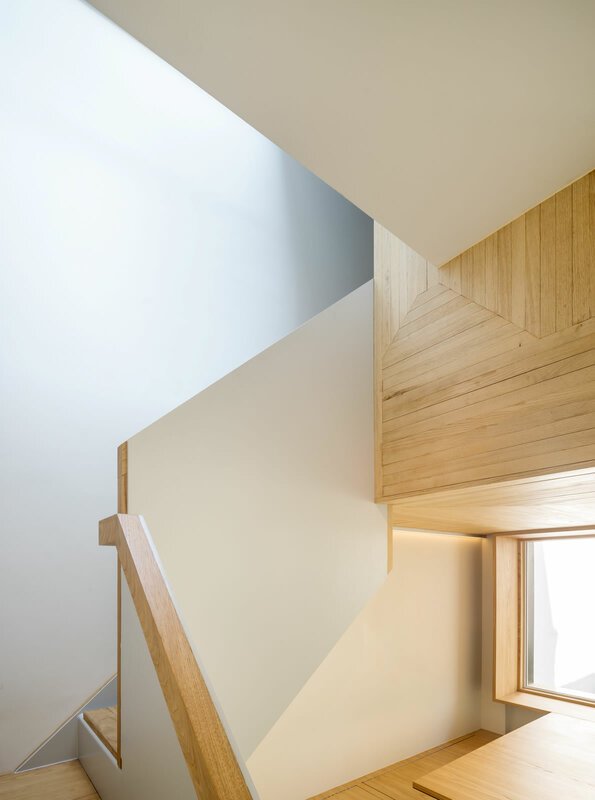 So the crow’s nest was clad in sweet chestnut shingles, while the kitchen, splashback, furniture and staircase were all created from different cuts of the wood. The splashback, for example, was made from sweet chestnut smoked and scorched at different temperatures. “My vision for Molyneux Street when I bought it was to create a calm, sophisticated yet playful home for my young family in the centre of London. It needed to combine the history and grace of the existing Grade II Listed Georgian terrace with a contemporary extension as an unexpected oasis of light and space. I decided to work with Patrick as he immediately understood this. 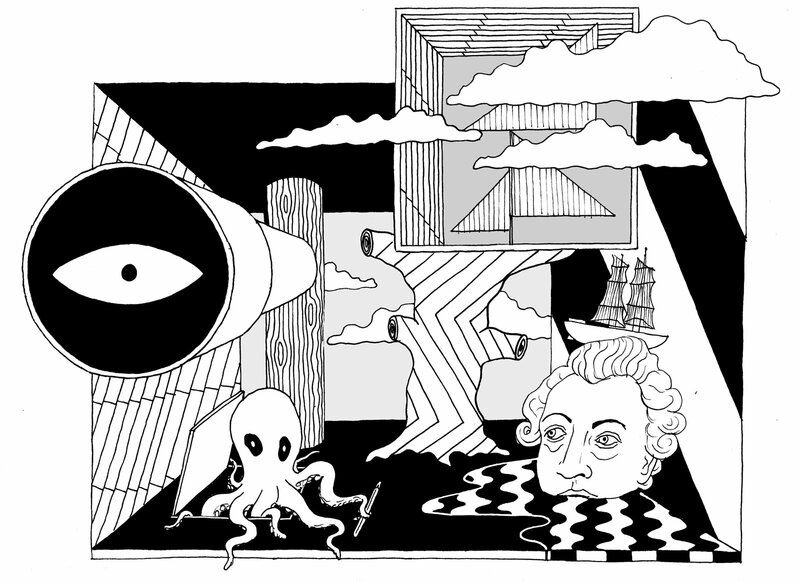 He combined my desire to have a fun, unusual space for boys to play with the history of Admiral Molyneux to develop the idea of a Crow’s Nest perched above both the house and the garden. You can read more about how we prepared for Molyneux Street here. 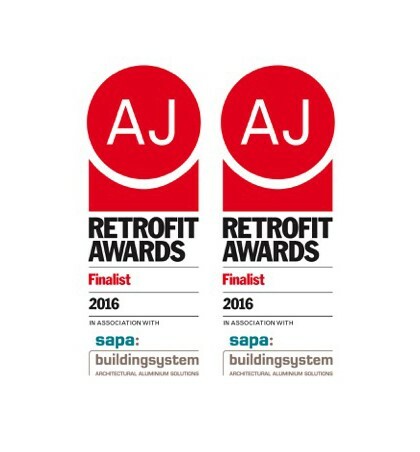 The AJ Retrofit Awards recognise and celebrate design, engineering and construction excellence that prolongs and improves the life of the built environment. The final takes place in London in September. Many thanks to Anabel, Atticus & Hal, GD Interiors, Rodrigues Associates and GD Construction.